The cottages can be found in various counties around the UK and Ireland, with Lincolnshire, Cumbria, North Yorkshire, West Sussex, Hampshire, Devon, Dorset, Dyfed, Shropshire, North Humberside, Cheshire, Kent, Northumberland, Norfolk, Powys, Staffordshire, Durham, Gloucestershire, Warwickshire, Wigtownshire, Inverness-Shire and Somerset all getting a mention. 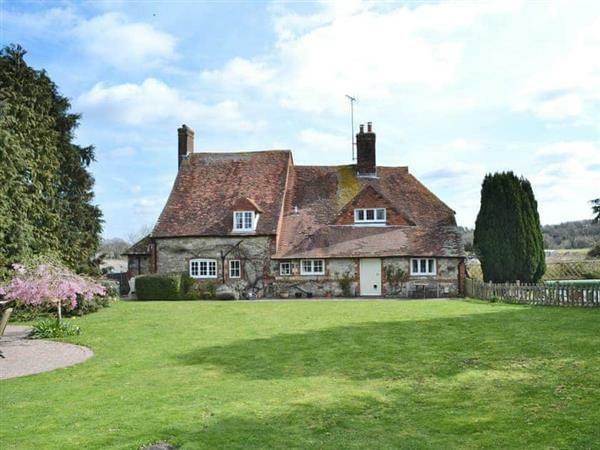 That cottage is: "Springhead in Cootham near Storrington". Springhead in Cootham near Storrington - Springhead in Cootham is a rural holiday cottage near Storrington. Springhead sleeps 8 people, and is pet friendly.